Malvern Instruments, headquartered in the UK, has launched a new gel permeation/size exclusion chromatography (GPC/SEC) light scattering detector, SEC-MALS 20 for measuring the absolute molecular weight of proteins, macromolecules and polymers. 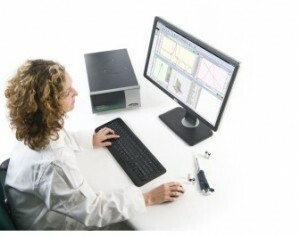 Modern GPC/SEC systems use static light scattering (SLS) detectors for absolute molecular weight, rather than relying on unsuitable, potentially inaccurate external calibration methods. Malvern’s new equipment is designed to measure absolute molecular weight for a range of macromolecular applications and to supply superior radius of gyration (Rg) measurements for molecules larger than 10-15nm. As said, the Viscotek SEC-MALS 20 has more detectors than any other commercially available multi-angle light scattering (MALS) system. The increased level of detection, particularly at lower angles, gives a better possible data fit for the extrapolation of molecular weight and size. Consequently there are significant gains in accuracy, even at high molecular weights. Moreover, the company says it is incorporated with a vertical flow cell with radial optics, rather than the more conventional lateral flow cells, which increases sensitivity and accuracy for low angle detection. The new detector also allows the use of a variety of different mobile phases without the need to alter its optical properties. Viscotek SEC-MALS 20 runs with Malvern’s OmniSEC software. It is said to be compatible with any commercially available SEC instrument and is available both as a standalone unit or integrated within Malvern’s multi-detector Viscotek GPC/SEC systems.